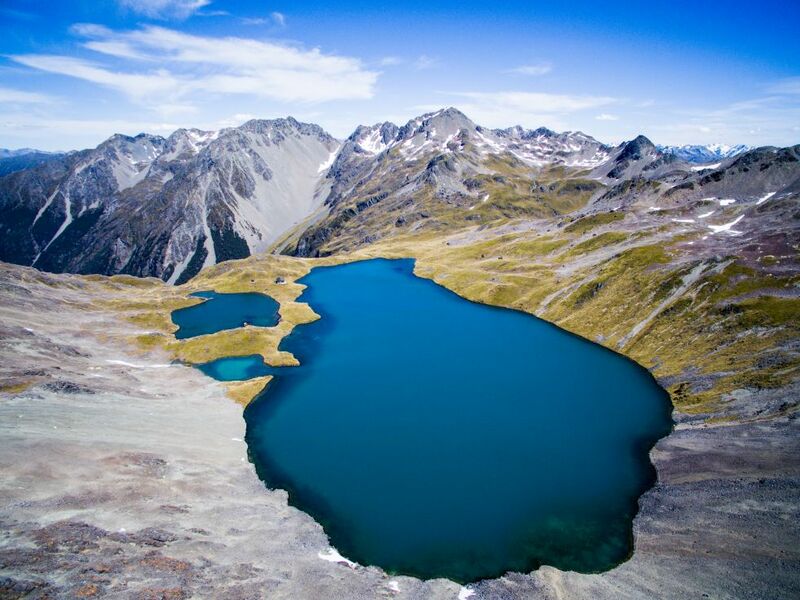 Aerial view of Angelus Lake in the Nelson Lakes National Park in New Zealand. This amazing lake was the reward after a 6-hour long hike. The best part is that the little house you can see next to the lake is the hutt I stayed in for the night.